After dropping my iPhone on the sidewalk and seeing the ease at which the glass screen shatters, I decided to finally get myself an iPhone case. Because the iPhone body is so beautifully designed, I didn’t want one that covers up too much. So I prowled the internet, looking for a sleek case that would protect without feeling bulky. As a cherry on top, I also hoped to find one that could say something about me. After all, how do we express ourselves these days but with our tech, right? 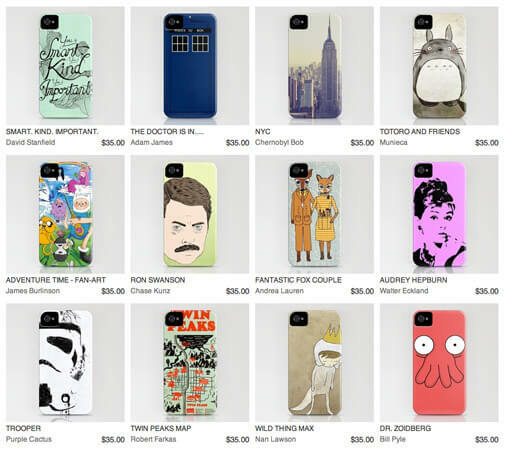 I soon discovered Society6, an online collection of talented artists and designers selling their work in several forms: prints, iPhone cases, laptop skins, and t-shirts. It’s really quite incredible the variety of cool artwork to choose from. After a few hours of browsing (their search function leaves a lot to be desired), I found the perfect case. It’s called “There and Back Again” by designer Reagan Lee. He designed a metro-style map of Middle Earth, featuring several fun stops like Rivendell and Helm’s Deep. The designer in me loves the clean lines and clever idea, while the nerd in me gets excited each time I see that Edoras and Isengard are just a quick train ride away. 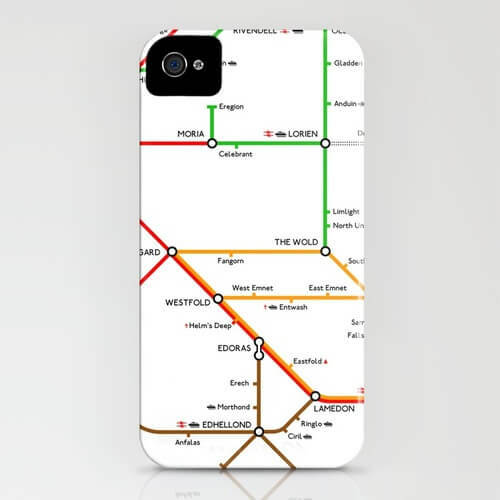 This entry was posted in design, film, geekery, technology and tagged iphone case, lord of the rings, reagan lee. Bookmark the permalink.